Surya Namaskar is unique gift the Divine to us. The sun is the divine source of energy; hence the regular practice of Surya Namaskar not only improves the functioning of our system but also refreshes and revitalizes our entire body at the same time. The book is in your hands. However, we have tried our level best to write the book in a way convincing and useful for the common man, we believe that the readers of the book are the best judges. We hope that the book will be welcomed by people from all walks of life and will enchance the practice of Surya Namaskar for gaining perfect healthy. Surya Namaskara or Sun Salutation is a common sequence of Hatha yoga asanas. Its origins lie in a worship of Surya, the Hindu solar deity. This sequence of movement and poses can be practiced on varying levels of awareness, ranging from that of physical exercise in various styles, to a complete sadhana which incorporates asana, pranayama, mantra and chakra meditation. The physical base of the practice links together twelve asanas in a dynamically performed series. These asanas are ordered so that they alternately stretch the spine backwards and forwards. When performed in the usual way, each asana is moved into with alternate inhalation and exhalation. A full round of Surya namaskara is considered to be two sets of the twelve poses with a change in the second set to moving the opposite leg first through the series. Proponents of the use of Surya namaskara as part of the modern Yoga tradition prefer to perform it at sunrise, which the orthodox consider to be the most ‘spiritually favourable’ time of the day. There are numerous references to praising the Sun to enhance good health and prosperity, in the Vedas. Some of these Vedic hymns were incorporated into Nitya Vidhi. These daily procedures were termed Surya Namasakara. Physical prostration to Sun, showing complete surrender of oneself to God, is the main aspect of these procedures. The forms of Surya Namaskar practiced vary from region to region. Two such popular practices are Trucha Kapla Namaskarah and Aditya Prasana. Adhitya Haridayam is another ancient practice which involves suryas namaskar. It is a procedure of saluting The Sun, taught to Sri Rama by Saga Agastya, before his fight with Ravana. It is described in the “Yuddha Khanda” Canto 107 of Ramayana. Early English publications record some of the ancient ways of sun salutation. In “A Catalogue raisonnee of oriental manuscripts”. Rev. William Cooke Taylor, noted that a short book with 71 leaves with “Tricha calpa vidhi” from “Aditya Puranam” was preserved. He describes the vidhi as “Modern of rendering homage to Sun, with praise and spells; the object being health or delivery from disease”. He further notes the presence of Arghya Pradana, Surya, Aditya dvadasa namam – 12 names of the Sun According to the monthly signs of zodiac, Surya Narayana cavacham, Saurastacshari mantram, and many other elaborate rituals as the part of the vidhi. There are numerous references of praising the Sun for the purpose of good health and prosperity, in Vedas. Some of these Vedic hymns were incorporated into Nitya Vidhi for the well being of an individual, through salutations to the Sun. These daily procedures were termed as Surya Namaskara. Physical prostration to Sun, showing complete surrender of oneself to God, is the main aspect of these procedures. The forms of Surya Namaskar practiced vary from region to region. Two such popular practices are Trucha Kapla Namaskarah and Aditya prasna. Trucha Kalpa Namaskarah has its origins in Rig Veda. Each Mantra in Veda is called a “ruche”. Group of three ruche is called as Trucha. 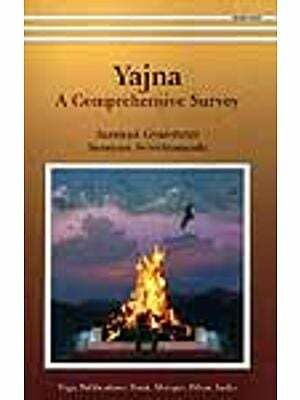 “Trucha Kalpa Namaskarah” is a method of performing Surya Namaskar using ;three ruchas from the Veda. You make a resolution [Sankalp] in the beginning, that you are doing this act of performing ‘surya namaskar’ by praying to the Sun, requesting him to give you good health and strength to work hard.